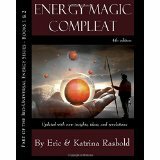 The shifting energies of the New Age brings to mankind a unique and powerful method of life altering manifestation that is made possible through the philosophies and methodologies introduced in this book.If it is your desire to break free from the worn and trivial round of life and ascend to something higher, more engaging and more satisfying, then the CUSP philosophy is for you.This practice has revolutionized spiritual knowledge as it brings the energies of action on all levels: the physical, emotional, and mental, together to connect with and influence the power that exists in the heavens and on the Earth. As above, so below. 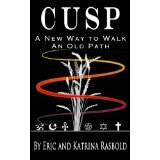 For more than 16 years, Eric and Katrina have used the CUSP spiritual path, which they personally constructed, to – without fail – create positive, long term life changes and manifest their personal goals. Now, they share with you the principles of CUSP and teach you step by step how to employ this magical and effective system, regardless of your own personal religion or spiritual path. Updated for 2015 in its 4th edition with nearly 9000 new words added! 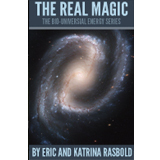 This book combines the two books that started the very popular bio-universal energy movement! 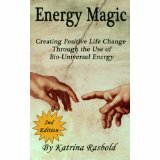 Energy Magic provides concise instruction for using bio-universal energy to create positive manifestation for immediate needs. CUSP provides a year long framework for manifestation long term, positive life changes. 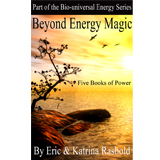 This book combines the five books in the Bio-Universal Energy Series that explore in depth the information presented in Energy Magic. 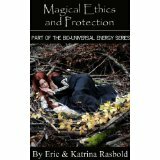 Reuniting the Two Selves, The Art of Ritual, Properties of Magical Energy, Days and Times of Power, and Magical Ethics and Protection are combined into one wonderful volume! What speeds up magical energy? What slows it down? 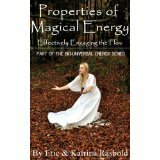 This book will take a detailed look at the specific properties of magical energy and apply current principles of physics to this sacred subject. Give your magic more impact by eliminating obstacles and using particular procedures and tools to increase its flow. We each have two “selves” within us that work to create not only our personality, but also our life experience. A de-emphasis on the spiritual aspect of life in our society has caused those selves to become divorce from one another so that it is difficult for them to interact. 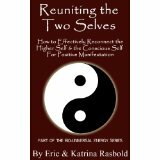 This book discusses in depth how to reunite your two selves and use them effectively to create a magical life that you love to live. Although each person must establish and follow their own moral code of magical practice, there are certain basic premises that always seem to apply. This book takes a look at how a person can achieve their goals without sustaining karmic backlash. 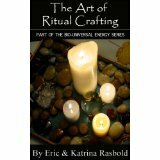 The book also has a section on how to magically cleanse, empower, bless, and protect yourself and your home. This book goes into detail about the optimal process for creating an effective and sacred ritual for reaching up to the Divine and working to manifest our positive life goals. On what days and at what times should you perform energy work to maximize particular energies you want to emphasize? 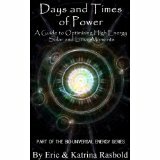 This book gives helpful hints on solar and lunar aspects, as well as holidays, weather conditions, and times when the veil between the worlds is at its thinnest. A technique is also included for how to store the energy of particular days and times to be used in later work. 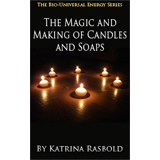 This book gives detailed instructions on the making of soy and paraffin candles, as well as poured goats milk base soap. The process of storing energy into soaps and candles is explored in depth.